Sacha Snow Tiger is romping across the ice to meet you! With warm grey and creamy stripes, this scamp is warm against the winter. 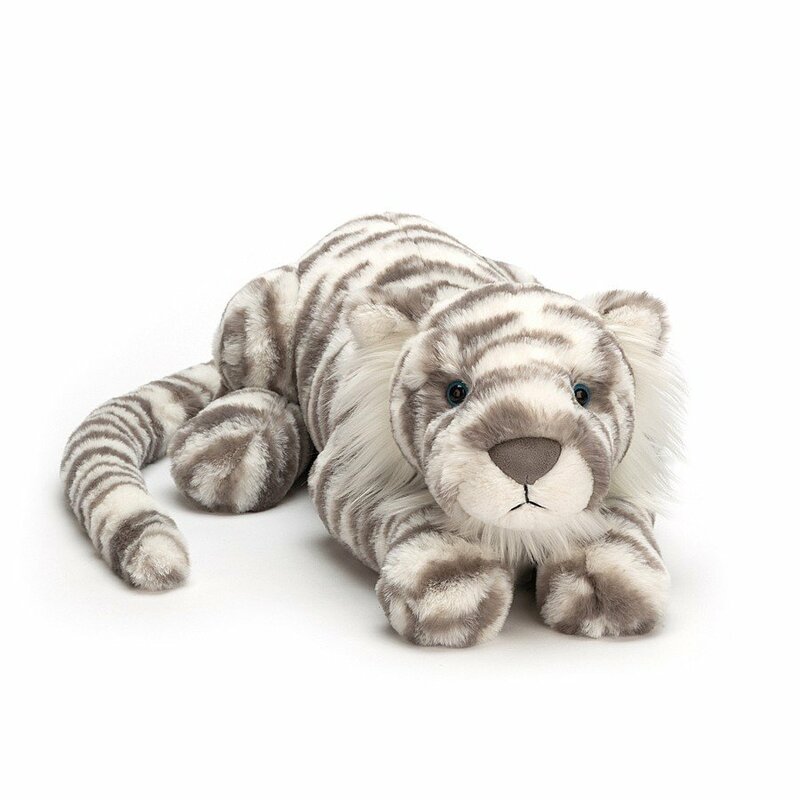 Jellycat's sweet snow tiger is wonderfully weighty, and actually hugs you when you go in for a snuggle. With long squishy tail, silky whiskers and pouncy paws, Sacha is a snowball of fun!